Location: Auckland City, Auckland Pay & Benefits: PAID WEEKLY | GREAT COMPANY IN PENROSE Type: Full time We urgently require a hard-working, dedicated experienced Reach Hoist Operators. We need a someone that can think on their feet, are truly proactive in all aspects of their work and have a sense of urgency coupled with reliability. 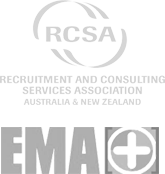 This is a dayshift 6.30am-6.30pm role based in Penrose. .
We are currently looking for skilled Manufacturing Operators/Process Workers with GMP experience to work with our clients based in South Auckland. We have positions for: Capsule Machine Operators Tablet Machine Operators Dispensing Operators Packers Process Workers In these roles you will be working as part of a fun team in fast paced environments and will be paid a competitive hourly rate. These roles are ongoing temporary roles however there could be possible permanent opportunities for proven operators.